The Garmin Vivo empire is expanding. This time though, in a way unlike any other Garmin product. It actually looks pretty. Swanky perhaps. Sure, there are other Vivo wrist bands you can buy that look great on women (The Girl often wears a metal band for her Vivofit). But those all cost extra. And yes, there are some Fenix3 variants that look more stylish too. But none look stylish in a ‘classical timepiece’ kind of way. And that’s the aim of the Vivomove. 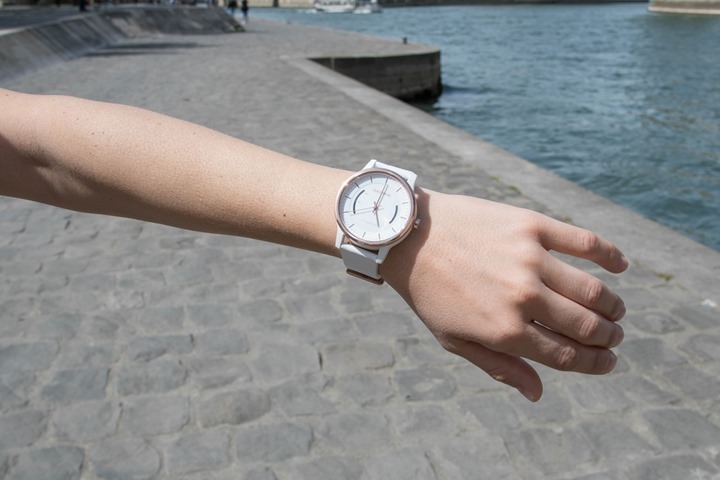 The Vivomove follows in the footsteps of a path first charted by Withings, with their Withings Activité almost two years ago. That watch was merely an activity tracker that connected via Bluetooth Smart to your phone. It had no digital display, nor other fancy smartphone integration. It didn’t have smartphone notifications, nor the ability to see Snaps. Neither does the Vivomove. It simply sits there and quietly tracks your steps and sleep. All while looking sleek. The Vivomove has precisely three things it can display: Time, progress towards your daily step goal, and an inactivity bar. That’s it. You’ll (obviously) see the time using the watch hands. In fact, like a classical timepiece you actually use the small crown on the right side to set the time. Then on the left side of the watch’s face is the progress bar towards your daily step goal. 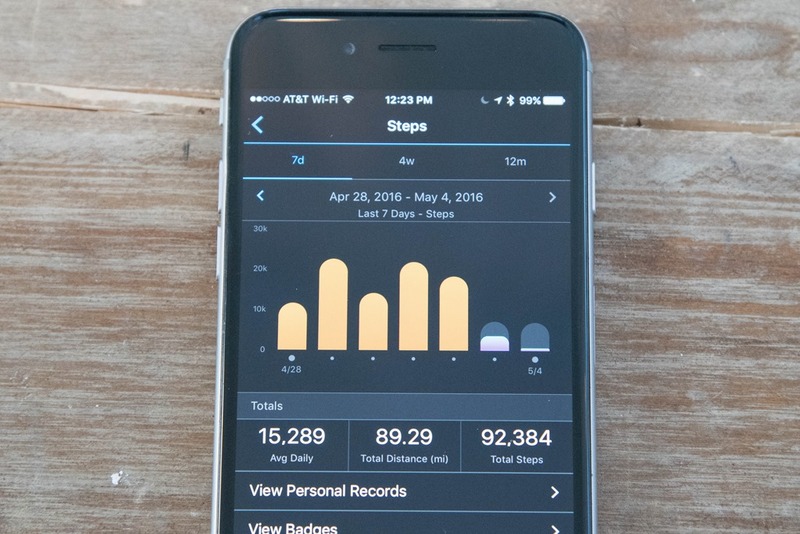 This is based on the dynamically changing step goal specified within the Garmin Connect Mobile app. Like other Garmin wearables, that step goal will slowly rise and fall based on how active you are. You hit your goal and it edges up a bit. You fall short, and the next day it drops a bit. You can also just set it for a static value too. Then on the right side is the inactivity bar. This is the ‘what have you done for me lately’ bar. Basically if you don’t go out and take steps, it’ll fill up in red. It takes about an hour to completely fill the move bar in red, which it does in chunks. To ‘clear’ the move bar, you’ll need to go for a short walk. On average about 100-200m does the trick. Beyond that, everything else is going to look just like any other Garmin wearable. So you’d get steps and sleep transferred to the Garmin Connect Mobile app using Bluetooth Smart. Below is pretty much what you’d see. Note that you do NOT get stairs though on the Vivomove. You’ll see that the Activité is much smaller than the Garmin unit. For guys, that’ll likely be great news. 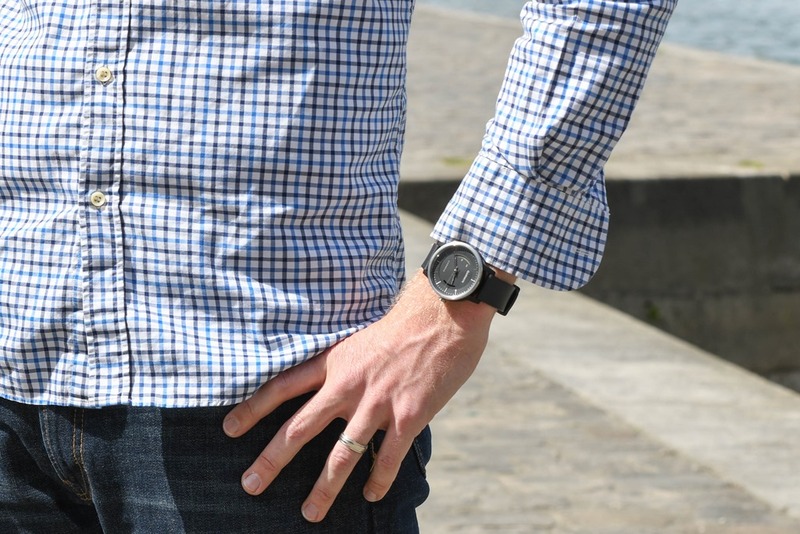 While I love my Activité, it feels a bit small on my wrist (as a taller guy). Whereas the Vivomove seems a bit better placed. On the flipside, for gals that like smaller watches, the Activité is probably better suited. The Vivomove isn’t overly large though, as seen on The Girl’s wrist here (she is 5’2”/1.57m tall, with a wrist size of 14cm/5.5″). Also more shots of her in the video above. And me here (and again, more shots of me in the video wearing it). As you can see, it works pretty well on my wrist from an overall size standpoint. Not too big, and easily goes with a dress shirt. – Withings has sport mode recognition for running, riding, swimming (though, the level of swimming functionality is super-minimal, it’s just time). Garmin does not have MoveIQ in this unit. – Garmin has the inactivity bar on the right side, Withings does not. 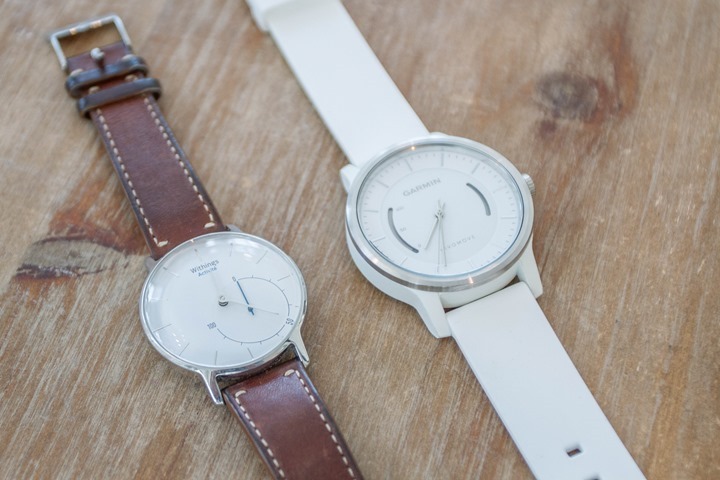 – Withings syncs the clock time from the Withings app using Bluetooth Smart. On Garmin, you use the crown (dial) to set manually. 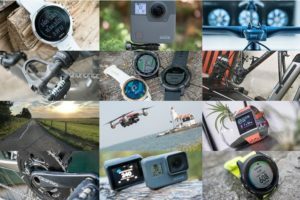 – Garmin claims a 1-year battery life. 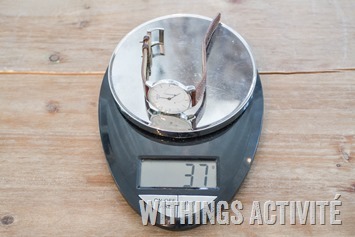 Whereas with Withings it’s closer to 6-8 months. – Withings has a silent vibration alarm you can set. Garmin has neither alarms or vibration capabilities. – Garmin can pair to a PC/Mac (plus your smartphone). Withings cannot connect to your computer, only smartphones. – Both units use universal watch bands, so you can swap for whatever you want (Withings is 18mm, Garmin’s are 20mm). And here’s some pretty imagery I shot of all the units. Note that you can buy the individual bands from Garmin, which range from $29 for the sport bands, to $59 for the various leather bands. Or, you can simply buy any standard 20mm watch band you find on planet Earth. Now, there is one caveat here to the Vivomove, and it’s that Garmin still lacks an integrated multi-device story. 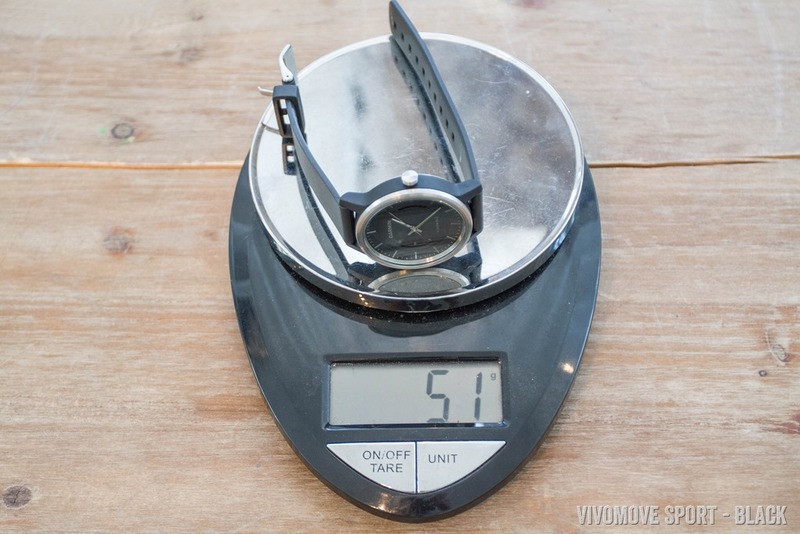 So that means that if you go out and buy their $299 Vivomove, because you want to compliment your already existing $599 Garmin Fenix3 HR that you use for sport – those two don’t play well together. Sure, they both upload data to Garmin Connect. But Garmin Connect can’t consolidate step data from multiple devices. You have to specify which device is your current activity tracker. So you’d logically specify the Vivomove since you use that 22-23 hours of the day. But that means that the 10-mile run you just did on the Fenix3 doesn’t count towards your steps, calories, or distance walked for the day. It means bupkis. Garmin says they’re aiming to resolve that by the end of the year, but it’s still a huge gap for the company. And more importantly, a huge gap for Garmin’s best (or most supportive) consumers. That said, personally this watch does appeal to me. When I’m not testing a GPS watch, I actually prefer something more minimal, so this fits into that quite well. As does the lack of charging. 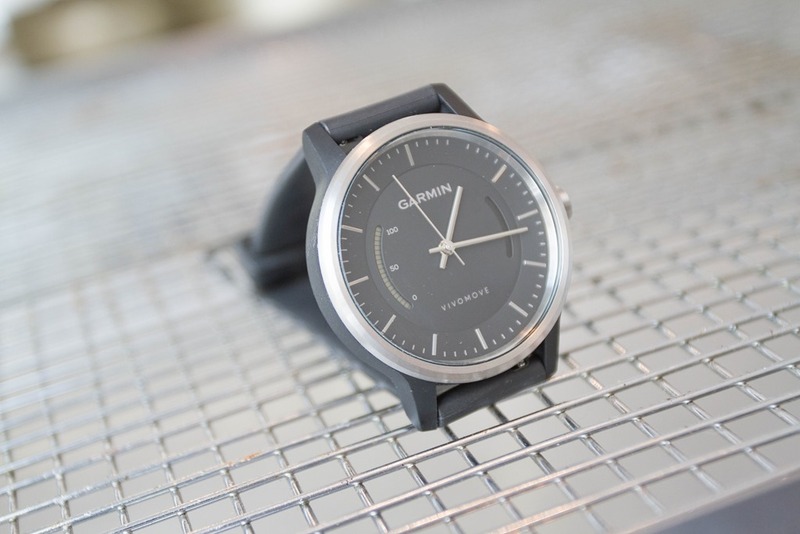 Finally, the Vivomove is expected to ship near immediately. Of course, probably like other popular items such as the Apple Watch, various models may have slightly different availability and timelines. But you should start seeing this in the coming days/weeks. 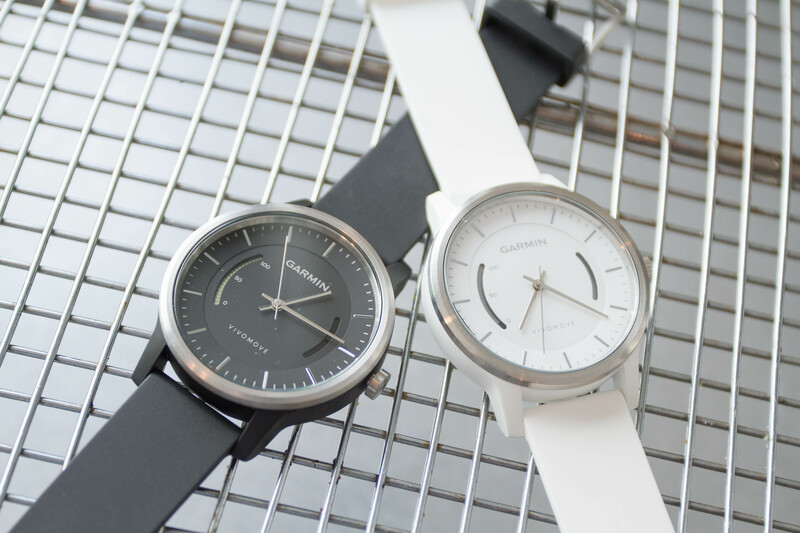 Note: You can pre-order the Vivomove through Clever Training, which helps support the site! The Sport models are here, Classic models here, and Premium here. It also helps to pay the wages of the female wrist model I must employ. The Girl is not cheap! Also note that as of today, Clever Training no longer charges your card upon order, only upon ship. Enjoy! Nope, that was the Pebble Time Round, and on the other wrist a Vivofit. Yep, you are right. They look VERY similar, at least from far away. If I could swap easily between my Fenix 3 and the entry level version of this, I’d be on it in a second as the Fenix 3 is too chunky to wear with a shirt. Any news on Garmin fixing the documented issues with using multiple devices activity monitors on the same day? Planned for sometime by end of year. Brilliant, if they manage it, they’ll have a very happy customer. Thanks for the response! 100% agree – Once they get this.. I’m SO there. So, was this the “unannounced watch” that you saw the person on the plane with? Ha! Well at least we can all hope that this is the 930xt and that we should see something soon on whatever this device is since you may or may not already have one you are testing!! What are your hopes for the 930xt? 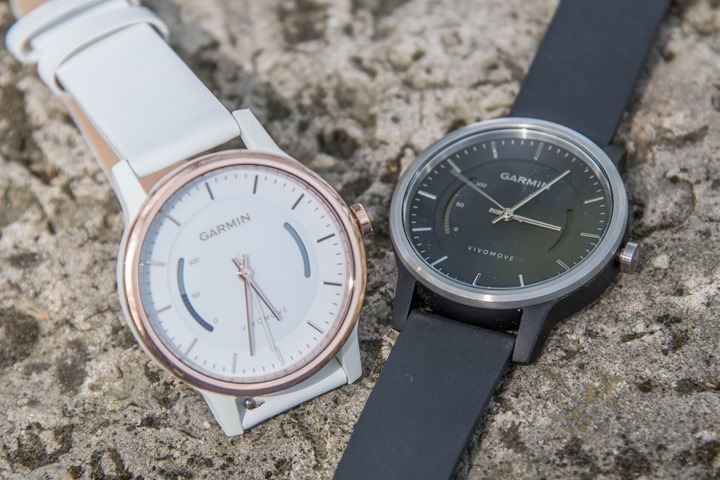 Garmin have filed two new round watches with FCC so unless there are two variants here then there’s another round Garmin to come before June 10th which is the date their confidentiality runs out on the filings. There was also a rectangle one but I think that’s the golf watch. The non-consolidated steps thing from Garmin bugs me too. I have a number of devices (not as many as Ray – obviously) and the Garmin ecosystem is where i keep the bulk of my data (with a side diversion into Withings). I have had to buy a Vivofit 2 and set it as my primary step count source because I don’t wear my Fenix 3 all the time (I have other watches too – pebble Time Steel, and a few “real” watches that I like to wear). It would be nice if the Fenix 3 and Vivofit could both count steps so that when i wear one I don’t need to wear the other. It would be nicer if Garmin would allow other devices to cross post step counts (Withings, Pebble, etc.) 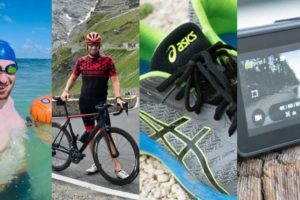 – Strava do it and if it were only step counts, it would still get people using connect – the gateway drug to fitness devices (watches, cycle computers, etc.). I’m in the same situation. Have worn the FR235 since it was released, but I want to wear my regular watches as well. I just ordered yesterday the vivosmart hr, which I am going to designate as my primary tracker. Unfortunately, I will also have to wear while running to get the steps. If it can track sleep, it should have some sort of vibration alarm. Not sure why Garmin would omit that, unless it was for battery/power reasons? Being bigger than the Activite (which supports vibration), there is plenty of room to have this feature, no? I know with the activite they say the biggest drain on the battery is any vibrating alarms that are set. When you get the low battery notification it recommends you stop using them. No Garmin devices with coin cell batteries have a vibration alerts to my knowledge. This would kill the battery very quickly. Have to imagine that any vibration on a device such as Vivofit series would be very weak, just as the “audible alert tones” on the Vivofit 2 which is very soft. Indeed, vibration alerts on a coin cell battery is a huge battery killer. Something Withings has seen with their unit (for folks that use the vibration alerts). I could see them adding it down the road in future versions, depending on how things go here. But even then, they’ll be balancing unhappy customers with poor battery life after using daily alarms. I bought my Withings Activite in middle of November 2015 and had to replace the battery 5 months later in April 2016. Jeweler charged $25. I only used the vibration alert for the first three weeks. That’s at least $50/year for batteries even without the alerts! I really do not like that you cannot change/set the time on the Activite itself but only via the App on the phone. Garmin allowing you to manually change time, leaving out vibration alert (due to battery drain), and the larger size of the watch would cause me to switch to the Garmin. I bought the Activitie and have been pleased with it, it doesn’t over tech, it just does its thing day in & out while being a nice looking piece of tech. I’m curious how much it costs to replace the Vivomove battery. My Citizen dive watch costs $60-100 but lasts for three years. 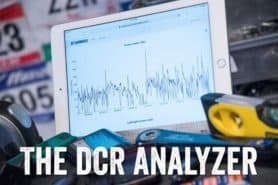 Who can replace the battery, the end-user or a Garmin certified technician? This could be a very big hidden cost if you have to do this every year. Hey Ray do you think we will see a HR version in the near future like the vivosmart HR? No, definitely not. At least not in a coin cell variant. Maybe if they shifted to a charge-able one. No MoveIQ – They just recently announced this, implemented it even on the Vivofit 3, but not this? That’s crazy to me. Seems like the perfect device to include that in. No Vibrating Silent Alarms – Honestly I’d rather deal with Withings’ 6-8 month battery WITH vibrating alarm than get a year with no option. No Multi-device Sync – Many have pointed this out as a flaw and I completely agree. In my opinion the Vivoactive HR is sort of hideous looking for 24 hour wear. The Fenix 3 is great looking, but large. This would be the perfect watch to wear all day/night except for during workouts – we could just throw on the Fenix 3/VAHR for that short time then switch back….but no, apparently Garmin wants us to have a Vivomove on the left wrist and Fenix 3 on the right, haha. Also, Garmin really needs to consider bringing back the Garmin Fit app functionality into their new Connect Mobile app. 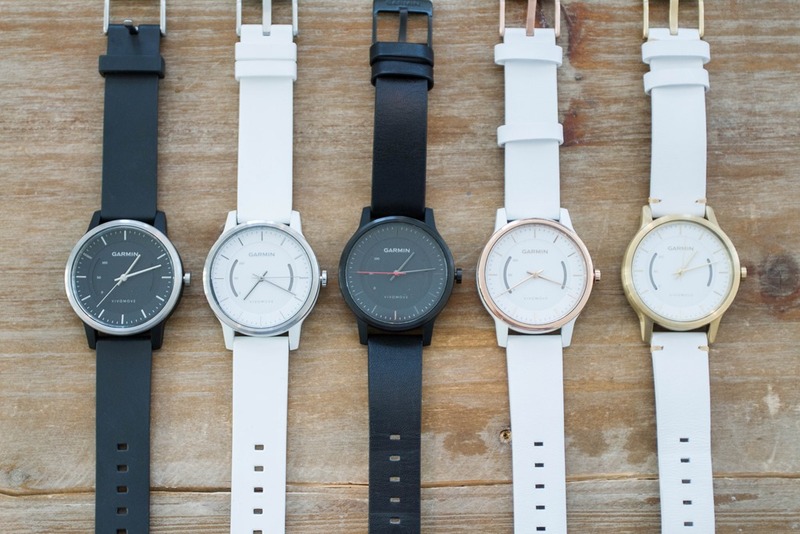 People who use the Vivomove could just track their walks, runs, hikes, etc with their phone. If they are going to continue to be behind in implementing cross-device syncing they could at least let us track our workouts in their app via phone GPS when we either a) forget our dedicated tracker or b) decide to go with Vivomove but still want to track walks and what not but not switch watches. I definitely agree on #1 & #3. Though mixed on #2. But your point about allowing folks to use these cheaper non-GPS wearables and track it with the phone is something I’ve brought up numerous times with them. Fitbit allows it for example, with the Blaze using their ‘Connected GPS’. Vibration alert is the #1 missing feature, for me. Without vibration alerts on my vivoactive, I’d never engage with the activity tracker. And, I use it for text messages, phone calls, alarms, etc. Such a simple feature to omit. It’s simple to omit, but it is the only reason they are able to say 1 year on the battery life. Especially if people want more alerts than just an alarm (move alerts, texts, calls), the battery life might have to be measured in just a few months. The response on the blogs would be the opposite with people complaining about how short the battery life is. Hi Ray, I’m a bit confused by this multiple device issue. I have a vivoactive. But I have to wear it all day everyday to capture my steps and activity. The trouble is, I have two very expensive normal watches I never wear anymore. I thought of getting a vivosmart as well. 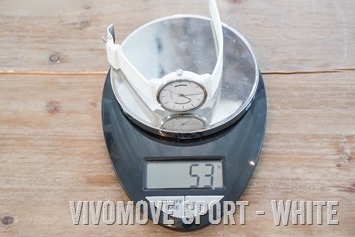 Wear the vivoactive on running and cycling days, and then the vivosmart on the non exercise days. That way I can wear my other watches on the non exercise days but still capture steps. 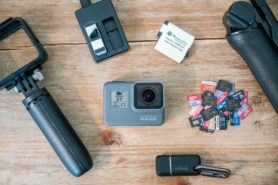 Are we saying Garmin connect won’t consolidate these 2 devices? Or it will, but I have to remember to sync each device before I wear them. If I forget, I could wear my vivosmart all day, but because I forgot to Bluetooth it, it wouldn’t show up on my stats. I’m sorry, I know you explained this a few times in the threads, but I’m still having trouble understanding! I love the reviews btw. Is a vibration alert/alarm that difficult to add to a watch? Seems like vibration alerts are key to success of the ‘move’ alerts throughout the day. A passive visual system that you have to repeatedly look for doesn’t look practical for someone wanting a fitness tracker. Dude, you have totally upped your game with the video summary! LOVE IT! Yes, love the video summary, well done. Looks great, but the pricing seems a bit high in light of the lack of vibration/alarms and stairs. Not to mention $50 for the leather band is at least a bit loony unless it’s quite nice as you can easily buy the cheaper model and get an aftermarket 20 mm leather band for much less. Having said all this, I may well be in the market for one of these if the price drops or there’s a good sale. The lack of product integration like you mentioned is a total deal breaker for many. I’ve moved away from Garmin this year for all but my bikes because Fitbit is so compelling in the way I can move from their band to their GPS watch to their clip on tracker and get perfect and easy integration of all in their app. Garmin’s app remains a painful mess and while they are far superior for specific sports if you are instead looking to track and whole life health picture they lag. This product cries out for integration because I doubt it would be anyone’s 24×7 option. Would you be able to do a side by side to a Fenix3? Just curious to see how *much* slimmer it is. 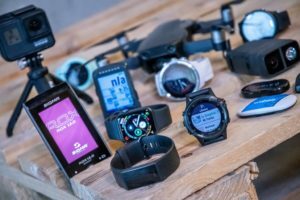 What happens at the moment re multiple devices on Garmin Connect? I’ve put off buying a vivoactive HR as a tracker to replace Fitbit Surge as I’m not sure how it’ll work in Garmin Connect. Use a Fenix 3 for runs and Edge 520 for rides so it’d just be used for the ‘other’ hours in a day. Do you just pick one device as your activity tracker and it ignores periods when you’re not wearing that device (that’d be fine for me as not interested in steps during runs). 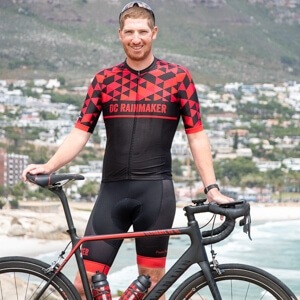 Or is there some ‘problem’ that it breaks something on Garmin Connect having multiple tracking capable devices (tracking turned off on F3 anyway). Yep thats exactly it – You have to pick (or manually change a bunch) which device it uses. Thx for confirming. That’ll work for Ok for me. Copnsolidated steps seems to be the great complain here. It is something I am also suffering with my 920xt and Vivosmart HR, which btw is a pain to recharge every now and then. Once this is solved, I think I am in!! Garmin is almost there! 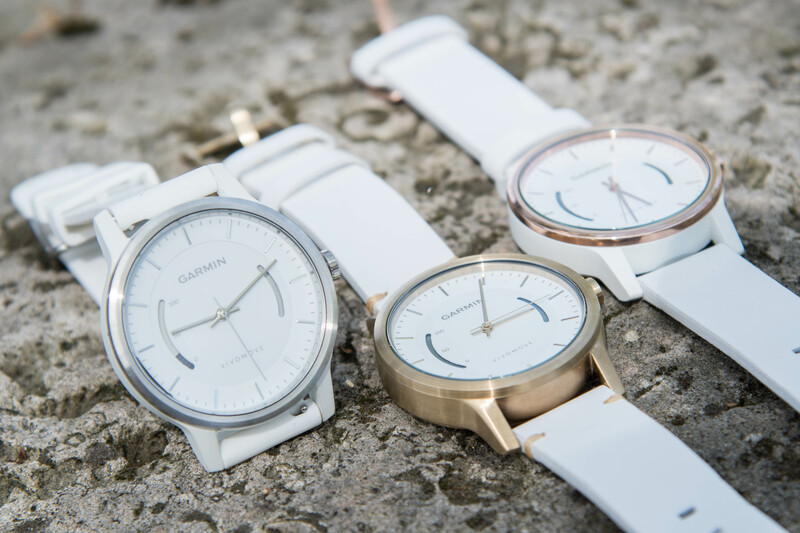 I have been campaigning for a slimmer, more elegant watch in the Garmin environment. The original slim Vivoactive I bought was a good start, but the sequel went the FitBit clone route. I bought a FR 630 and wear it 24/7, but it is a little too thick for dress shirts at work and bulky at night for sleep tracking. If they can fix the consolidation of activity/step data into Connect, then I will buy this new Vivomove the week they get it resolved. I am hopeful that I may someday have an option to wear a Garmin watch that looks like I’m not the fitness tech geek that I am – secretly tracking every step, workout, and run. It would just offer some style choices. Perhaps I might not have to check if my watch’s battery is charged! We’ll see if they can make it happen so I don’t have to make an exclusive commitment to only one Garmin watch. 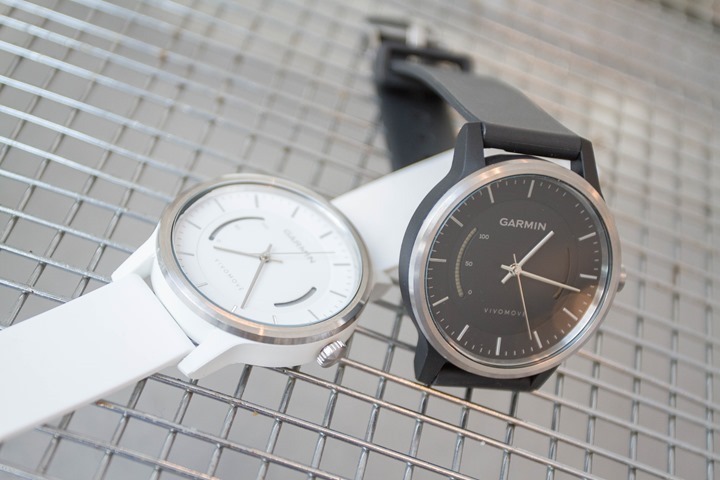 Wouldn’t the company prefer to have their users own more than a single Garmin watch at a time? Bloody huge, not particularly good looking, extremely feature lite, and expensive? Not a great combo, IMHO. Just a hats off to CT for changing their policy on pre-orders. I was pretty critical of it in the past. I understood the rationale and would have had no problem with a deposit for a pre-order. But given the uncertainty of release date it made me not want to shop there for pre order items even with a discount. But given the change, I will shop there ( and support this site). technical question – how hard would it be to implement the consolidated step tracking system? End of the year for a feature that would clearly drive revenue seems pretty lame. Garmin is leaving a lot of money on the table based on the comments here. It’s of moderate messiness level. Do you consolidate on the backend and then push to update the physical devices worn with step-data? Decisions on which data set reigns supreme if two are worn (higher end device, more steps, etc…)? Now, that said, there’s no reason why this should still be a problem. It’s been a year (almost exactly I think) since Fitbit introduced it. At that point it should have been on the radar as something that was becoming more and more important. And in fact, I’d have argued it was even more important for Garmin than Fitbit, because they had a much bigger base of people purchasing high-end devices than Fitbit does. And they’re much more likely to have someone purchase a FR920XT for sport use, but want something less plasticy for day to day. Interesting, I hadn’t seen that before when I tried. I’ll have to poke again. Thanks for the heads up! So the new Vivofit 3 actually has an audible beep and you can set a daily alarm. Didn’t realize that! Can we still hope that the Vivomove has some kind of audible alert to it? That would allow for and alarm, even if it’s not “silent”. Shame the software doesn’t keep pace. Well nice find there! No doubt Ray is working up his preview now. This makes sense if someone wants a smaller package than the vivoactive HR but less features. Well the garmin line up is pretty stacked now. All of the other items are “older” models. Ray do all models have glass? Or is it like the Activite where only certain models get glass and others have plastic? So I could essentially use this for my step counter throughout the day, right? Then when I do my high intensity workouts at the gym, take this off and throw on my Vivofit 2 with HR Strap to track my activity with HR and calories. I won’t get the steps but those are always off anyway. Then on biking days I can use my Edge 1000 to track my rides. On days where I ride I will have steps, miles, calories, etc from my walking AND my biking, right? I don’t run so I don’t see an issue in my case. Am I looking at this wrong? I don’t care too much about tracking sleep or alarms as I use my phone for that. My LG Urbane may go by the wayside tho. I reached out to Eric via e-mail. Something is wrong there, both of those types of ads are banned (per my request) by the provider I use in the US. So I’ve asked for a screenshot and resulting link so I can go whack some people. So this is the same thing as the Timex Metropolitan Plus. Which is cool, but hardly useful. I think some folks miss the point of these products. 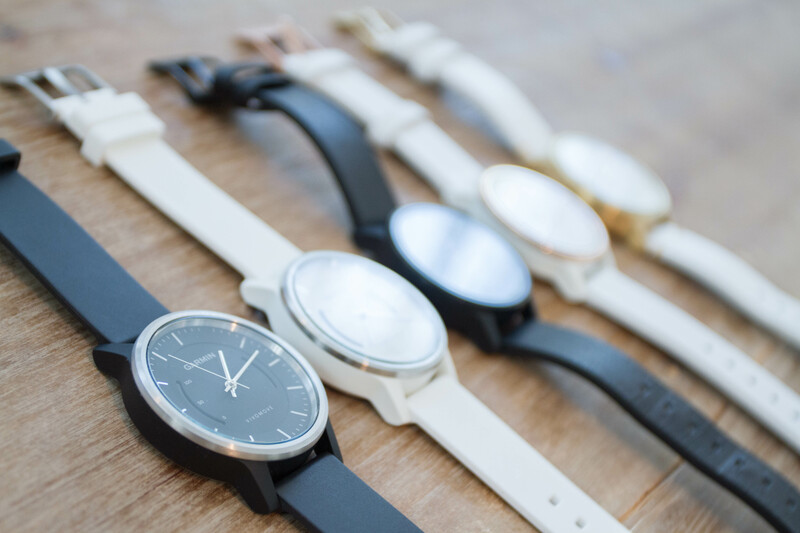 It’s not about cramming in a bunch of tech features into a watch. Nor is it about trying to be a true fitness watch. This and the Withings (and the Timex and others) are about trying not to be a fugly looking activity tracker. Something you can wear outside of sport that matches different fashion styles. 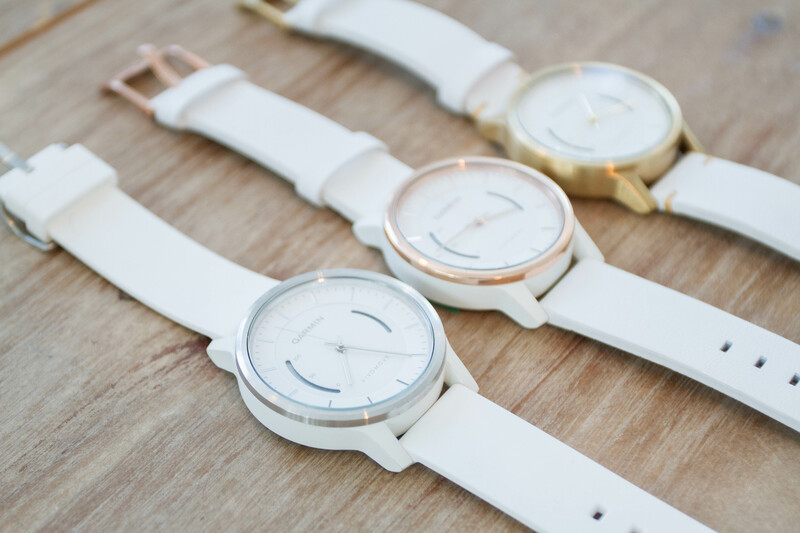 Well before there were smart watches, that’s what people did: They bought cosmetically pretty watches that all were ‘hardly useful’ in that they just told the time. 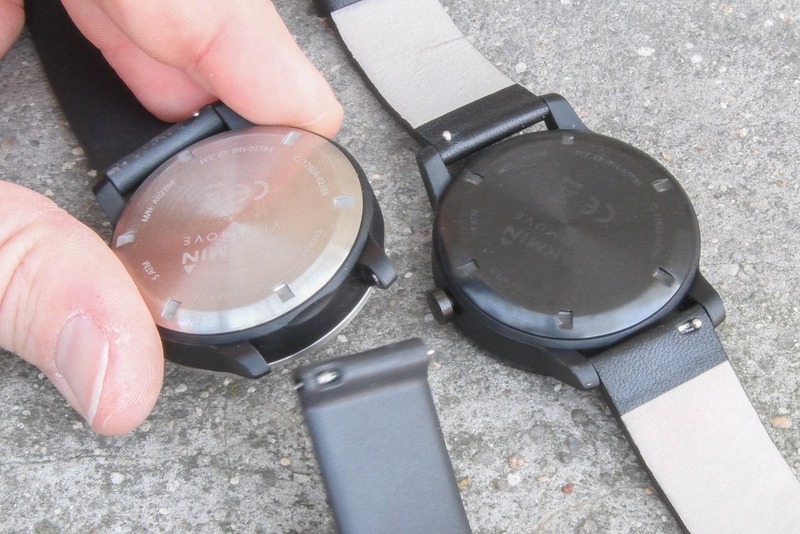 Now companies have simply enabled those watches under the covers to keep track of steps, and in the case of Garmin/Withings, also have some small tidbits of information on their faces that doesn’t scream ‘smartwatch’. Unless Garmin have decided to specifically call the dial on the right of the watch used to set the time “a dial”, generally they’re called “Crowns”. I think the cat’s out of the hat: a few media outlets are reporting on the UCI’s presentation. 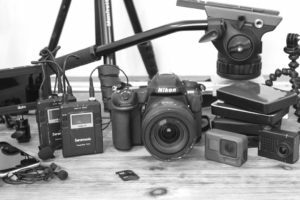 Most don’t look into the tech behind it; specifically the pros and cons of it. I’m betting on your blog post. Nope, not what I was there for. 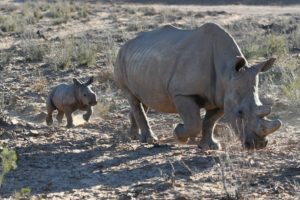 How well do polar products cope with combining data? e.g. If I go for a bike ride with a v650 and then walk around all afternoon with a v800 on my write will both of these be combined in flow for my “training load” and recovery status? Love the idea of something smaller than my Fenix 3 for day to day wear. But without the consolidation of data between the two as I’d likely rotate what I wore day to day, it isn’t even an option. By the end of the year is too far off. If you knew if you were working out for the day, you could technically cycle between the two. On mornings that you knew you were going to use/wear your Fenix 3, just set that as the activity tracker in the Connect Mobile app and wear it. If you weren’t going to workout you could set the Vivomove as the activity tracker right when you wake up. Not a convenient workaround, but if you set the watch you were going to wear right when you woke up you wouldn’t lose any step or sleep tracking. Of course you’d have to sync the watch you wore to sleep before assigning a new watch as the activity tracker. Rob, this is exactly what I did this morning between the VAHR and the Vivofit 3. Worked perfectly. Plan on using the Vivomove on the weekends as I don’t usually workout then. My only question is regarding devices with optical HR. If I take them off while I am using the Vivomove, do I need to power down the watch? Will it be shining the lights through the back trying to find HR the entire time it is off my wrist? Once again, a nice and simple review…any information regarding the release date here in Europe (I’m from Portugal)? Thanks!! My understanding is they’re expecting units near immediately (like next week) here in Europe, starting first with Garmin.com for Europe. Am I the only one that is excited about the direction of this watch? Having said that, I would never buy this watch do to lack of features. One of the biggest problems for garmin devices as been lack of “office acceptability”, meaning, I need it to look nice with my suit. I am wearing my 230 24/7, and it is ok. But I would love to see a better looking garmin 230. I don’t want to be swapping devices, I want one device to rule them all! Regarding consolidation of data, while it is a pain, I simply just wear my vivosmart HR while I do my workouts with my 920xt. I already look like a dorky triathlete so I’m not causing any alarm with another piece of tech draped on me. I never take the thing off except to charge so it doesn’t bother me. I haven’t seen any issues with my data. I understand the frustration about them not providing a better solution but I have not found it to be a big deal. If I did not read this website frequently I most likely would have forgotten about it as an issue at all. I’d look at it from the case of a leather band Vivomove. You don’t really want to sweat in that day in and day out (during a workout), as the band will be horrendous soon (stinky especially). Sure you could then by a sport strap for it, but that’s yet more cash. I think the sport mode recognition on my Activité only works for running, walking and swimming, not riding. It would be useful though, maybe in a future firmware/app update? So what wil actually happen when you try to synchronize two devices to one GC account? I have activity tracking enabled on my Fenix 3. What will hebben in GC when I switch to Vivomove during the day? Unless you go into the Garmin Connect app and specify the Vivomove as your activity tracker when you put it on, then basically you’ll get nothing from it. It’d be better to specify the Vivomove as the 24×7 activity tracker, and then just have the Fenix3 upload the workouts. Ray, any update for when Clever Training will be shipping these? I ALMOST bought this. Then I re-read and noticed that it doesn’t have MoveIQ!! This is extremely annoying, as it means that the device will STILL record steps when I’m riding to and from work. This was an issue with the original Vivofit, and it amazes me that it’s STILL an issue! I’m using an Edge 520, so why can the steps be disregarded for the timeframe Garmin knows I’ve been cycling?! This device is completely useless to me, as it means I arrive at work with thousands of steps! (Not great road surface on my commute). I just want a device that I can wear day-to-day, and formally when required, but count my steps and be compatible with the Garmin eco-system! Thanks Ray for this review. I have been looking for a better looking activity tracker since my fitbit died a horrible death in the washing machine 9 or 10 times. So, I recently purchased the black classic version of the vivimove. I bought it online, and there were a few things that I didn’t see coming. First, the contrast of the grey hands on the black background is not easy to appreciate in low light. I really like the understated look of the classic version, but this is a little too much. It’s fine in the day, but catching the time from a quick glance is tough.Some lighter hands or white dots on the ends would make a bit difference. Second, I expected more of a band. The 20mm width narrows a bit as it goes along and looks just a bit too delicate on my wrist. The watch itself is a good size and would look at home on a more substantial band, so it’s easily solved with a replacement,. But again not something you might realize if you buy it online. In then end, I would still buy it. But these two changes would have made it perfect in my opinion. Add me to the list of people who would love to see this with MoveIQ. I take a lot of short trips by bike and would prefer for those to be counted separately. I’d been thinking about getting the Vivofit 3, but I definitely prefer the idea of an analog watch that doesn’t scream out that I’m wearing a tracker. Anyone know if there are any clip-on style trackers that have a MoveIQ equivalent? Cross device support would be a real winner for me. Ray’s point about the leather strap getting smelly / sweaty puts me off the idea of just wearing two devices to work out. 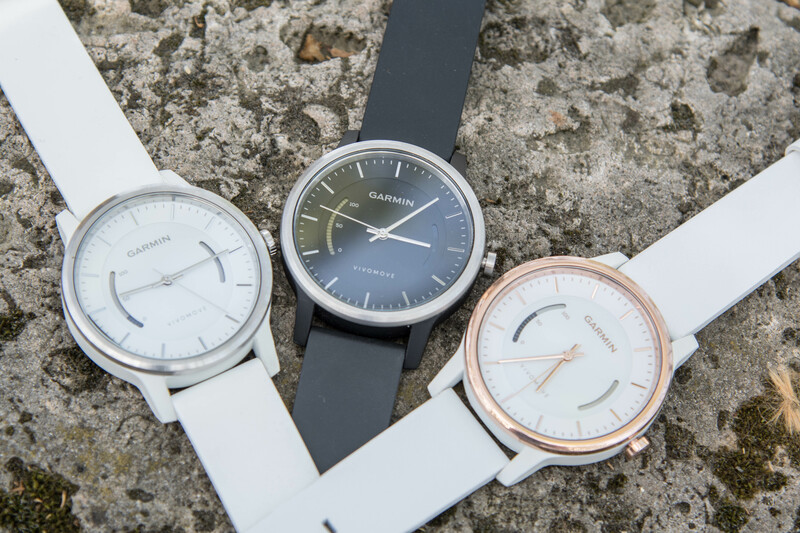 Do you know if Garmin Vivomove will include a date on the watch face in the future? Any news yet on the integration, the end of the year draws near…. that said I own a fenix 3 – which I love and a withings Activite which I like – but I dislike not having all the stats in one place.. but i do LOVE the silent vibrate alarm of the Activate – it works a dream and has never failed to wake me – I really hope it comes to the Garmin. It allows me to get up for a morning run/ride/swim/breakfast without disturbing my beloved which gets me serious brownie points!! Interesting case here: just bought the vivomove. I was fed up with Withing Activite poor connectivity to my Galaxy S7 and battery issues. I love the vivomove look and feel. Your review says there is not MoveIQ but something interesting happened today. I went on a 4.5 mile run with my 910xt but put the vivomove in my running shorts pocket so I could count the steps as well. When I got home and synced to garmin connect, the 910 put up an activity with all of its requisite data. The vivomove uploaded an activity as well – it was almost equal with the distance of the 910xt activity and it was labeled “Running.” So it counted the activity twice, and recognized I was running. Curious if this is MoveIQ or just Garmin connect seeing something in the vivomove data on the backend that led it to this? Kinda sorta. It’ll recognise running, but that’s it; the devices designated to have MoveIQ will recognise more activities, including cycling and swimming. Ray – do you think there is any chance that there would be a Vivomove with HR launched anytime soon? Now that the data can be combined in the back end I am considering moving from Fitbit to Garmin – but the lack of HR on the “casual looking trackers” is making them inferior to Fitbit’s wrist worn trackers. With optical would be tricky without shifting thinking a bit. Right now with a coin cell battery, the optical HR would slaughter it. So they’d have to move to rechargeable. 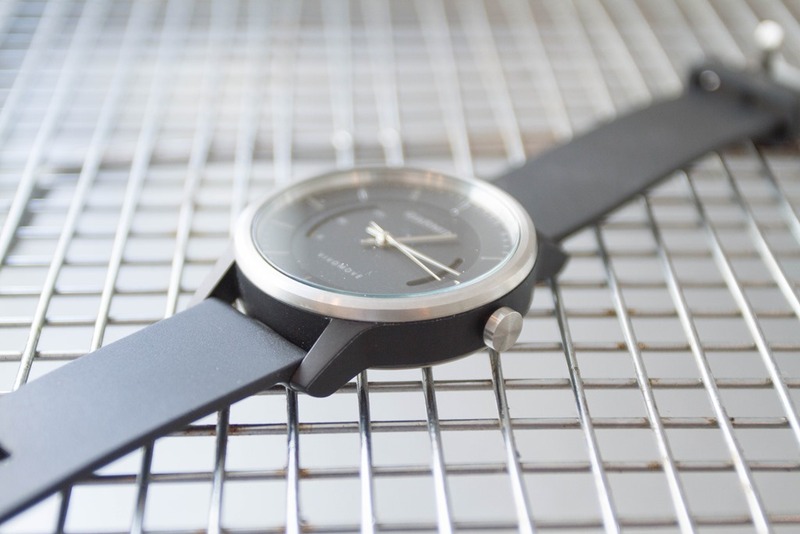 For that type of watch, perhaps doing wireless charging would make sense to keep it still pretty clean. Thanks. So what you are basically saying is “maybe but at a higher pricepoint”. I am seriously considering vivomove now that it’s 30% off original price… one gap is lack of HR, the second is that Garmin doesn’t have a clip on tracker (a la Fitbit Zip) for times when you want to wear a different watch and Garmin App can’t track steps without a tracker (like fitbit can). All in, Fitbit still wins when it comes to the seamlessness of the entire tracking experience. But their wrist work tracker formfactors are less and less appealing. 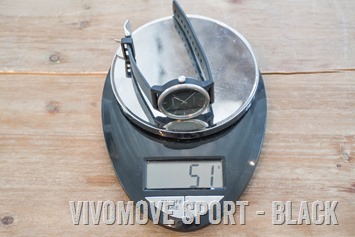 Would you know if Garmin has plans for a vívomove HR model soon? Any news on an update to the Vivomove to give it optical HR and smart notifications, like the Withings Steel HR? 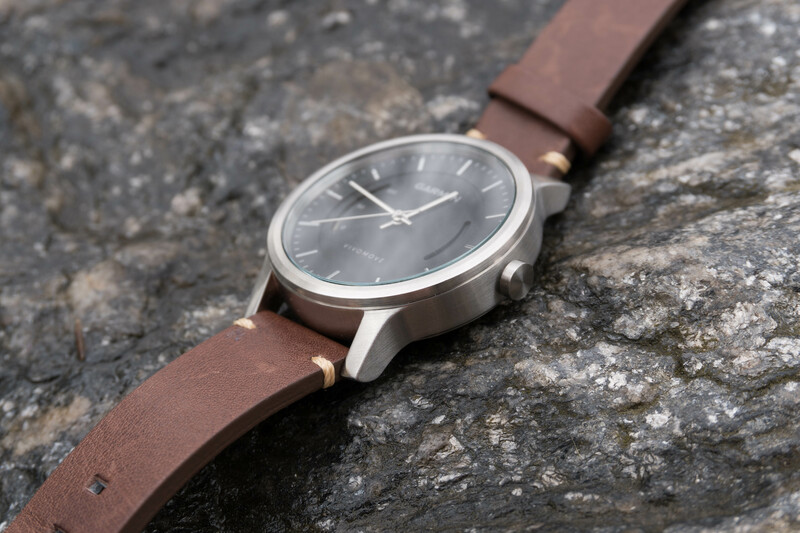 With the new vivomove hr, and the expanding of tech specs for this type of analog face and hidden tech, when do you see the addition of gps to this style of hybrid smart watch. Thought to ask as this market for watches and wearables and the increasing amount of tech shoehorned into a watch is fascinating and would have to be the fastest moving sector of the fitness market. Maybe the next gen, but even then that’s questionable. I’m not sure there’s a big enough market yet for people who want an ultra-slim pretty watch and GPS within it. 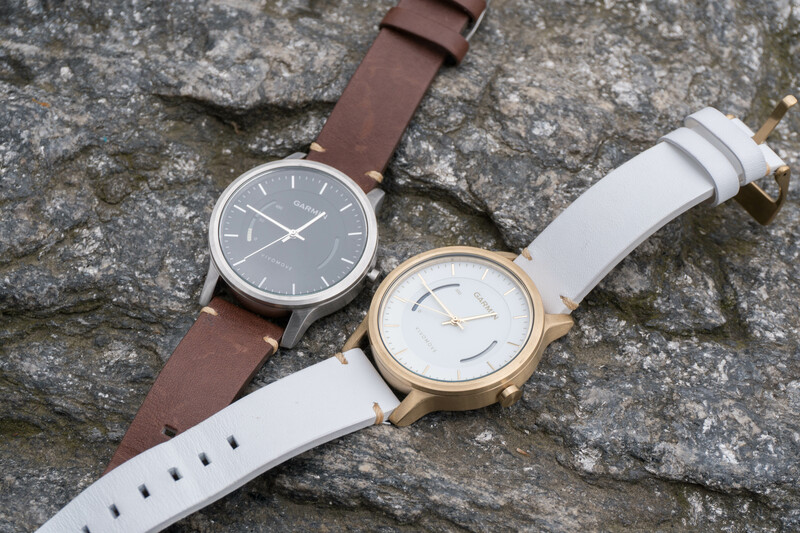 I have to ask if you got the only Vivomove in existence that is gold with a white strap? All the others i have seen are rose gold or have a gold face but come with a brown leather strap? I would dearly love to get my hands on the gold with the white leather strap that you have pictured.